Here’s how to care for wooden spoons so they last a lifetime and are germ-free. All of my family’s homemade cookies throughout the years have always been made with wooden spoons. I can’t imagine mixing up a homemade batch of cookies and reaching for anything but a wooden spoon! It seems there is no better way to mix together the thick, sticky batter of cookie dough than with a strong and durable wooden spoon. 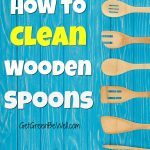 After the cookies are baked and the mess in the kitchen is cleaned up, though, there is always one burning question: How do I clean those wooden spoons? However you use a wooden spoon (maybe your cooking adventure is making stew and not cookies), one thing is clear. Wood spoons may stand up to tough mixes and batters, but they are definitely a little more delicate when it comes to washing. Wooden spoons and serving pieces, such as wooden salad servers or wooden spatulas, can’t be put in the dishwasher to be sanitized by high heat. Did you know that? A dishwasher will actually cause your wooden utensils and spoons to crack and warp over time. And can damage them in ways you might not see. So hand washing wooden spoons has to be the answer. 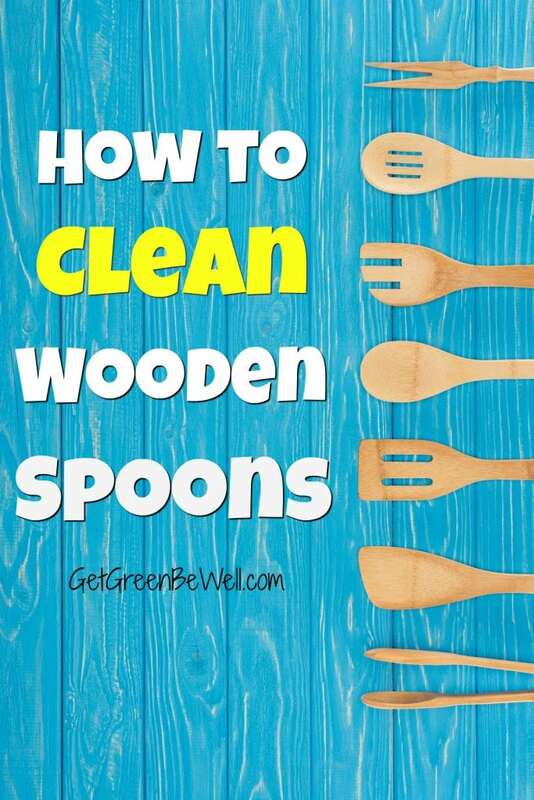 However, if you don’t clean wooden utensils properly, they might soon become breeding grounds for bacteria and mold. And that ain’t good either. Good thing that properly caring for wooden spoons isn’t complicated. And doesn’t take a lot of work. Use a dishwashing soap (I use this gentle soap) and the hottest water possible. Dry wooden pieces immediately with a dish towel, to prevent moisture accumulating in the wood and creating mold. For extra cleaning power, occasionally rinse the wooden pieces with white distilled vinegar to kill germs, bacteria and mold, or you can rub half a lemon across the utensils to disinfect, as well. Here’s a helpful list of what kind of vinegar to clean with. Because of the porous nature of wood, you never want to soak wooden items in water for any length of time. For example, letting them soak in a kitchen sink until you’re ready for your next load of dishes. Otherwise, the wood will become so wet that mold might start to occur. 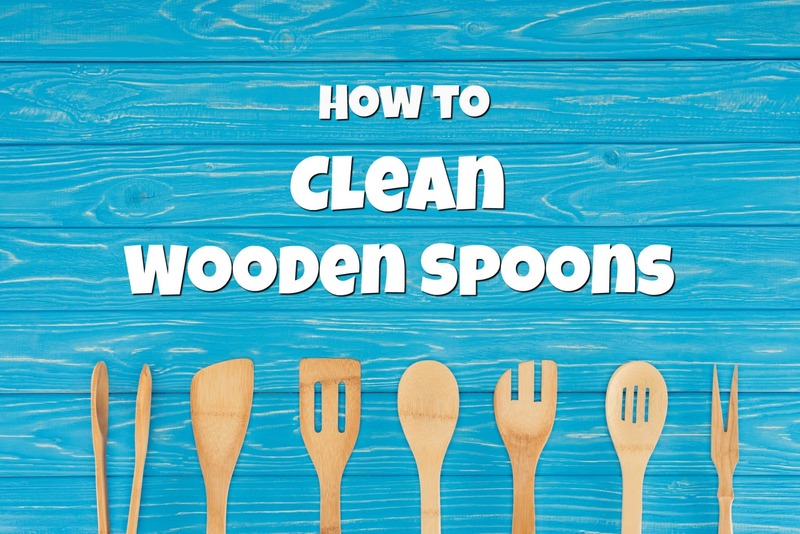 Dispose of any wooden utensils or serving pieces that have developed black spots or an odor, which can signal a mold problem. When purchasing new items, aim to buy bamboo pieces or wooden utensils made from FSC (Forest Stewardship Council)-certified wood, which means that the wood has been properly grown and harvested in a sustainable way. 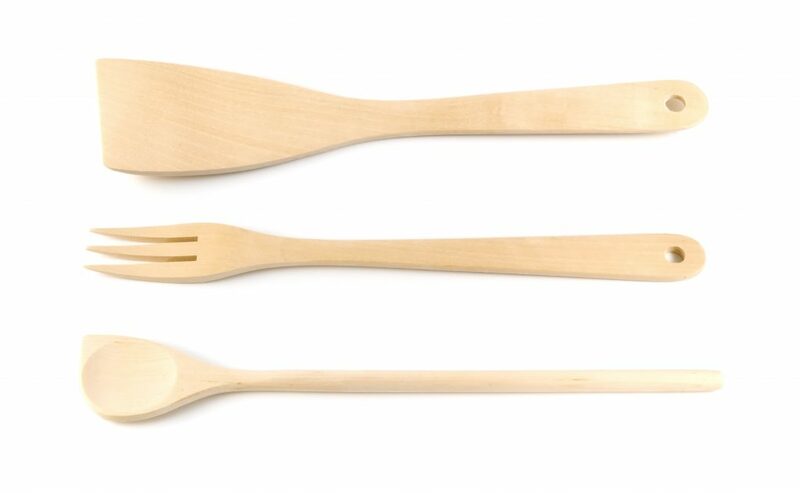 Check out some of our favorite FSC-certified wooden spoon finds. You’ll be surprised at how inexpensive they can be! Like this adorable wooden spaghetti spoon, old-fashioned wooden scoop spoons, and a wooden spoon set made from Italian olive wood.